As work on The Camomile progresses, the quest for a beautiful book has occupied much of our team’s attention over the past few weeks – what does the term ‘beautiful book’ mean? 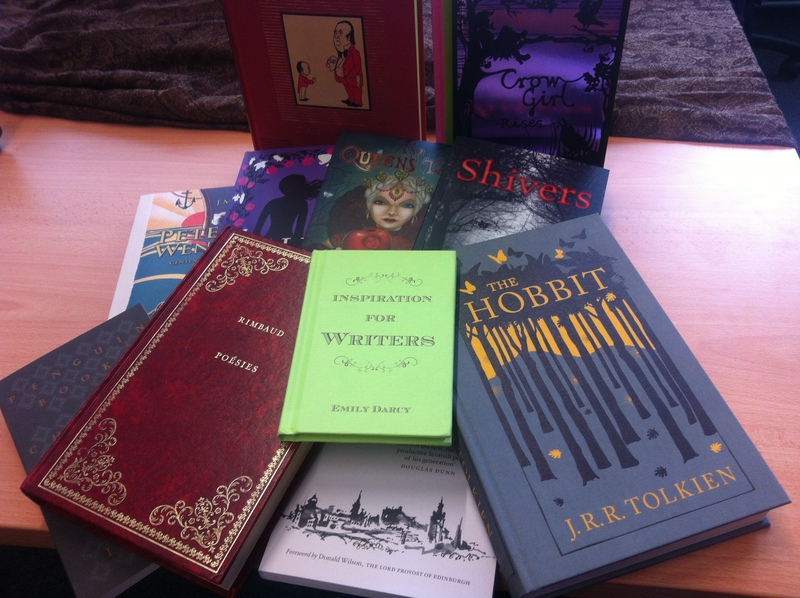 A selection of what we consider beautiful books. For the editorial team, the answer is relatively simple – it means a clear, consistent, well-presented text that is free from typos. Thus, over the last couple of months the team has busied itself with the intensive sub-editing, copy-editing and proofreading of The Camomile. Another key aspect to making the text accessible has been the decision to create a glossary of foreign and archaic terms, which the team compiled themselves. The production team’s definition of a beautiful book is perhaps more conventional. For the past few weeks they’ve been concerned with the laborious task of working both the intricate internal pages and, perhaps most crucially, ensuring the cover is as aesthetically pleasing as possible. In a similar vein, the marketing team has been working on an eye-catching advertising campaign to represent our beautiful book. A focal point of this campaign has been the collaboration with the Glasgow-based tea company, Brewhaha, who have kindly provided chamomile teabags to hand out with our teacup-shaped flyers. The task of the rights and finance department is particularly challenging, as their job is to balance our limited budget with the concept of a beautiful book. They have liaised with many printers in order to determine the most economical means to realize our beautiful vision. Therefore we are all sensible of the warmest gratitude towards all of the beautiful people on our team who have been the means of writing our special edition of The Camomile.